Himalayan salt has been known around the world for its healing and centering properties. At Zorina Angel, we use heated Himalayan salt stones unearthed from highest mountain region of the world for your health and wellbeing. 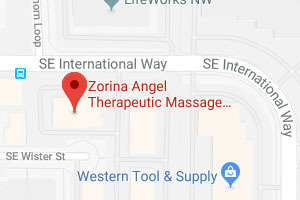 So when you’re looking for a unique and therapeutic massage, come to Zorina Angel. Himalayan Salt Stones, as well as other hot stone massages, will calm your mind and straighten your chakras. In fact, Himalayan salt stones, when heated, release positive ions that balance the negative ions. The therapeutic benefits of Himalayan salt stone massages are undeniable, and we guarantee you will feel the difference. Web Design and SEO by Effective Web Solutions | © 2019 Zorina Angel Therapeutic Massage and Bodywork. All Rights Reserved.